Darlene M. (Ducat) Jagodinsky, age 85, of Green Bay, formerly of Two Rivers, passed away Monday, March 18, 2019. She was born August 27, 1933 in Two Rivers, daughter of the late Louis and Julia (Hebel) Ducat and was a graduate of Two Rivers High School. Darlene married Edward Jagodinsky, October 22, 1955 at St. Mark's Church in Manitowoc and the couple shared 63 years of marriage before Edward passed away, November 1, 2018. Darlene was an avid golfer and enjoyed golfing with Edward as well as many friends. She was a member of Northbrook Country Club of Luxemburg. Darlene was perfect in many ways and achieved perfection on the golf course as well with 2 holes-in-one. She devoted many hours as a volunteer at both St. Vincent Hospital and the Weidner Center. Darlene is survived by her children: Patricia (Tom Harter) Jagodinsky, Bruce (Rose) Jagodinsky and Brian (Janice) Jagodinsky; 8 grandchildren and 13 great-grandchildren. She is further survived by nieces, nephews, other relatives and friends. She was preceded in death by a brother, Eugene (Alice) Ducat and 3 infant siblings. Visitation will be held at St. Agnes Parish (1484 9th St., Green Bay), Friday, March 22, 2019 from 9:30 to 11AM. A Mass of Christian burial will be celebrated at 11 AM with Fr. Patrick Beno, celebrant. 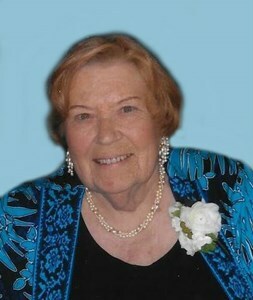 To leave an online condolence for the family, please visit www.NewcomerGreenBay.com. In lieu of flowers, a memorial fund will be established at a later date. Darlene's family would like to extend a special thank you to St. Mary's Hospital, Green Bay Oncology, Woodside Oaks, GranCare Nursing Home and Unity Hospice for their excellent care and compassion. Add your memories to the guest book of Darlene Jagodinsky.